Happy Tuesday (and birthday to me)! 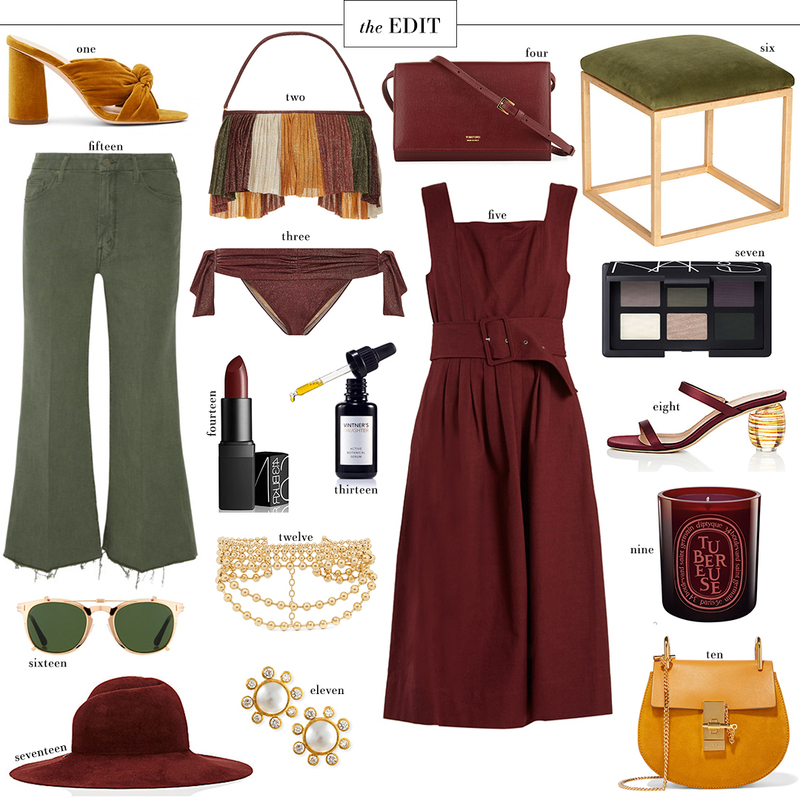 While I’m certainly not in the fall mindset yet, I can’t help but notice all of the beautiful autumn colors hitting the new arrivals sections of my favorite online stores. I was particularly inspired by this little bikini! Don’t you love the unexpected color scheme on such a fun summery piece? Another summer item with a unique color and fabric is this pair of Loeffler Randall heels. I’m obsessed with the knotted detail and round heel. So different and cool! Both of these items would be great for Texas gals, simply because you could continue wearing them through September! It doesn’t cool down here until the end of October, so we’ll still be wearing open-toed shoes, hitting up the pool on weekends and wearing lightweight pieces for quite a while. That’s why I’m always trying to find cute transitional styles that are lightweight enough for warm weather, but that also feature a fall color or detail that won’t make you think “summer”. Today I’m meeting my friend Mara for lunch at Lido Marina Village, and I’m looking forward to checking out some of the shops there. Head over to my SnapChat to discover what I find! These colors remind me of Fall! I love #5! I love this color scheme! This has be dreaming of fall clothes!